Few companies outside of Nintendo can claim to have even a sliver of the effect on the gaming industry as electronics giant Sony has. Ever since the PlayStation emerged in the mid-90s as a dark horse console from a first time manufacturer, video games have never been the same. In celebration of the 70th Anniversary of Sony two years ago, the crew here at Goomba Stomp put together a list of the top 70 Sony exclusive games of all time and now we are back to expand the list to a top 100! Chances are if you’ve been playing PlayStation as long as we have, you’ll find a lot to love on this list, and if by chance you haven’t, well get ready to learn a thing or two. As voted by the writers and editors of Goomba Stomp, this is our definitive list of the 100 best PlayStation Games of All Time. ** Editor’s Note: In order to qualify, a game must have been first released exclusively on a Sony console for at least six months if not a year. In other words, don’t expect a game like Tomb Raider or Ade’s Odyssey to appear on this list since they were not exclusive to a Sony console when released. A spiritual spin-off to the classic Resident Evil formula, Dino Crisis takes the series’ tropes of survival horror, secret labs in the middle of nowhere, corporate conspiracies, unethical experiments gone wrong, and an 80s-style badass female protagonist, but changes the threat from slow-moving zombies to fast-paced Jurassic Park rip-off dinosaurs. Tank controls and cheesy dialogue abound; Dino Crisis is everything you would want in a game of its kind. Despite not aging as well as its Resident Evil cousins on the PS1 – being bogged down by controls that never feel quite right and an imbalance in difficulty that feels more unoptimized than challenging – it’s still a charming romp. The quicker Velociraptors are a lot more intelligent than an RE zombie, and a lot more vicious, requiring actual thought put into encounters than just a shot to the head, though at times in an unfair way. Borrowing from Resident Evil 3, with which the game shared a parallel development period, you’ll also be stalked by a T. Rex boss throughout the game, and it’s some true survival horror goodness. Not stopping there, you’ll come across other dinos, ranging from the miniature Compsognathus to the high-flying Pteranodons, all who seem to be pretty mad to be brought back from the dead. 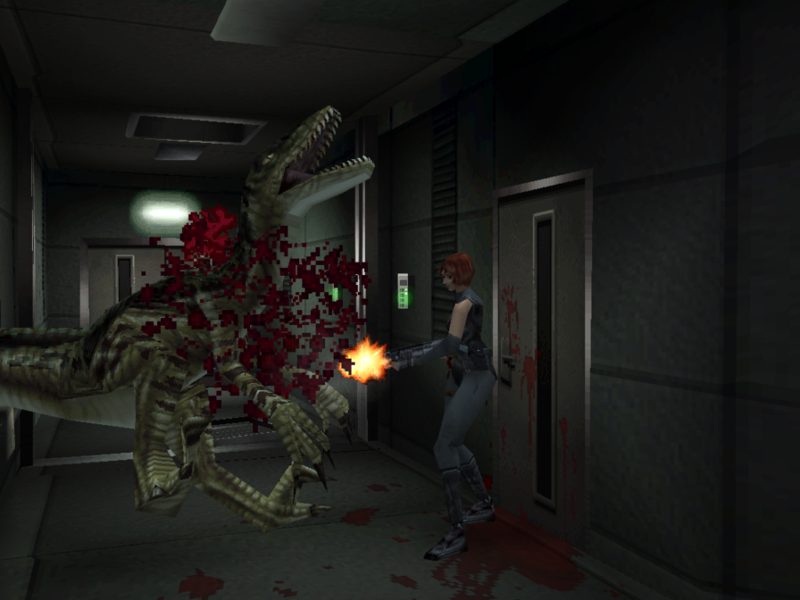 Dino Crisis brings enough of its own unique elements to the table to distinguish it beyond just a Resident Evil with dinos. Plus, being one of the only dinosaur-themed survival horror games, it’s an experiment worth appreciating by fans of the classic style of that genre, especially on the PS1. Time may have been unkind to Konami’s football franchise as its struggles under the financial might of EA and its loyal fanbase of official license-lovers, but in 1999 ISS Pro Evolution was the football game. 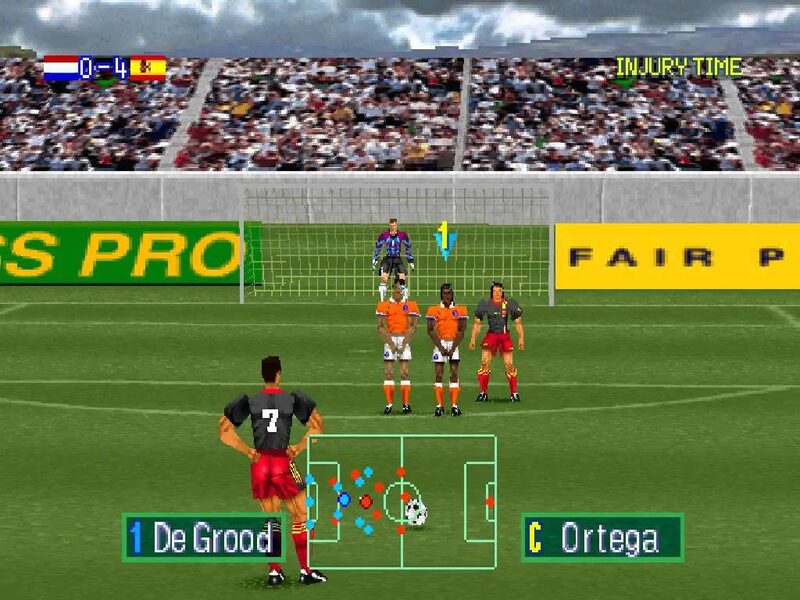 A precursor to modern-day Pro Evolution Soccer, ISS Pro Evolution was the iteration to garner the moniker of ‘the thinking man’s football game’ that still rings true amongst the community for subsequent releases to this day. The game boasted a number of important additions from all its predecessors too – most notably the inclusion of club teams. There weren’t very many to choose from at this early stage, and they represented the double-edged sword of only being playable in the new Master League mode. A limiting caveat to two staples of the PES universe that remain as limited as they are essential even in 2018. It wasn’t just new modes and teams that made ISS Pro Evo so special, though, and with football games, it’s never enough to do all the proverbial talking off the pitch. The game was buttery smooth to play thanks to a host of new animations, and it was practically football in fast-forward compared to the meandering FIFA. Perhaps more significantly, at least in nostalgic terms, was the debut of the era’s latest edition into the footballing zeitgeist – the still-iconic free kick technique of Roberto Carlos that made playing as Brazil essential. The Sly trilogy was a remarkable achievement of its time. It took the 3D mascot-platformer, which dominated the early 2000’s, and added a unique edge by adding in the mechanics of a stealth game. Sly 2: Band of Thieves is arguably the best game in the series, but Honour Among Thieves was still ahead of its time. 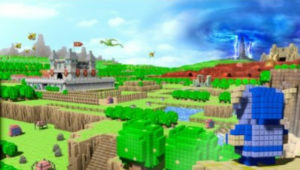 It took the mechanics and open world sandboxes of the second game, and added a cast of new playable characters. Sly 3 was about bringing a team together. By finding a new family, you came ever closer to the family you lost. 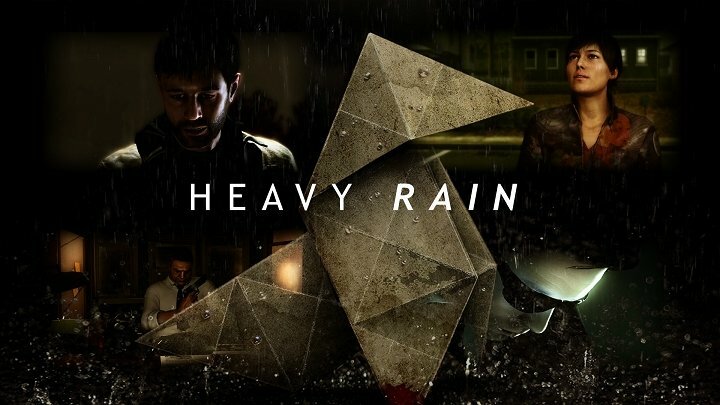 When Quantic Dreams’ breakthrough title Heavy Rain hit stores back in 2010, “interactive drama” – as they loved to call it – was a bit of a niche within the gaming industry. But in the years since then, the genre has seen more success stories, from The Walking Dead to Life Is Strange, while Quantic Dreams’ own follow up to Heavy Rain – Beyond Two Souls – disappointed. Everyone else, it seems, was doing “interactive drama” a little better. 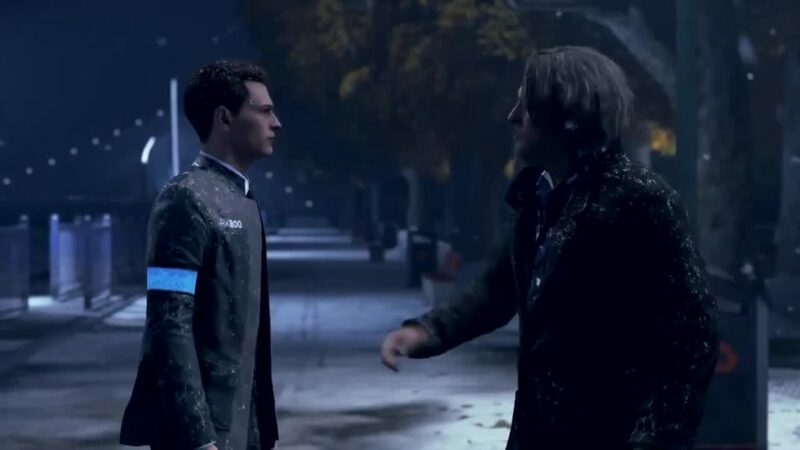 Detroit: Become Human is Quantic Dream doing what Quantic Dream does best – and worst – and it goes some way to righting their ship. Love them or hate them, nobody makes games quite like Quantic Dream. It’s a beautiful game – no other narrative focused adventure game on the market can compare – but it’s a little janky to play. It’s got an interesting premise but it’s nowhere near as clever as it thinks it is. It presents itself as high art but it’s a B-Movie at heart. And if you can live with all of that then you’ll likely have a good time. Set in the near future in the titular Detroit, androids are a part of everyday life – working as cheap labor, butlers, and maids, and doing the dangerous jobs no human would want to do. Predictably, the androids become self-aware, and the humans are really surprised because apparently none of them have ever seen any of the countless movies and TV shows that have taught us that machines always, always turn on their masters. 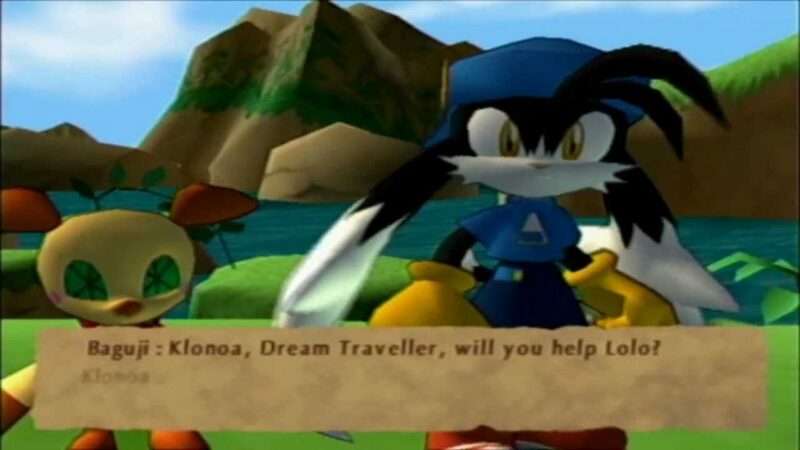 Released in 2001, Klonoa 2: Lunatea’s Veil refined the art of 2.5-dimensional platforming that the developers of the original game, Klonoa: Door to Phantomile, strived for. Levels form complex interconnecting and twisting paths that allow the player to interact with the foreground and background long before Donkey Kong Country Returns incorporated the idea. It is a perfect example of how a few simple mechanics can be effectively established and elaborated on over the course of a (relatively short) game without ever becoming tiresome. The story takes place in the dream world of Lunatea, where the holy bells of the four kingdoms are threatened by the rising chaos from a newly-forming bell. Our protagonist, Klonoa, and his friends must travel to each kingdom and purge the four bells of the evil that has overtaken them to restore order to the world. From the map, the player travels to new levels and occasionally revisits old ones that are dramatically changed as the game progresses. New areas have their own distinct visual style and themes, gradually incorporating new monsters and gameplay mechanics to keep things from getting stale. Sony’s internal and external partners have always prioritized expanding the audience for games. Whether it was the relative openness of the PSX’s CD format or the recent focus on downloadable indie games, PlayStation is a brand that reaches in every direction to release games for more and different kinds of gamers. It is easy to see why, then, Sony might sign with developers like Quantic Dream, whose output may not reach the critical and audience success of Uncharted, Killzone and Infamous, but nevertheless display a bravery and distinctiveness that goes far beyond quality. Heavy Rain, the studio’s first PS3 title, came a few months after the release of Uncharted 2, and only weeks before the spring of God of War III, yet still managed to hold its own. Highly detailed characters and a focus on situations that usually have no place in video games brought a level of warmth and drama to what was basically an interactive thriller movie. Although the “French-actors-trying-to-sound-American” voices and ropey facial animations don’t hold up as well as they did back in 2010, Heavy Rain pushed the boundaries of what the interactive medium has to offer and arguably laid the groundwork for today’s so-called “walking simulators” like Gone Home and Firewatch. The game’s focus on aspects of life other than shooting and fighting (while still being a suspenseful thriller) is a refreshing change of pace from other blockbuster stories. Finally, like other media, Heavy Rain and its spiritual kin Indigo Prophecy have shown that scenes of pain and loss or heart-pounding action can have all the more impact when contrasted with the mundane. Wipeout is a game that can sometimes be overlooked and not usually considered as distinguished or renowned as some other PlayStation racing titles such as Gran Turismo, Crash Team Racing and Driver, but there is no doubt that it has had a significant influence on the racing game genre as a whole. 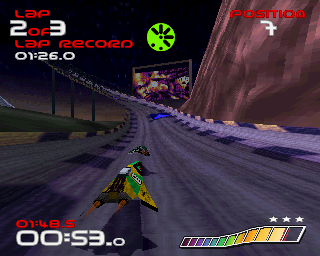 Released in 1995, Wipeout, or wipE’out as it was styled, was one of the launch titles for the PlayStation in Europe. Developed by Liverpool based company Psygnosis, Wipeout received critical acclaim upon release. The game is set in the year 2052 and the player can race around seven different tracks based in countries around the world. The futuristic themes, contemporary techno music and general innovation of the game were all praised. You can tell that the team behind the artistic design drew upon other forms of media with futuristic themes, such as Blade Runner and Star Wars. The hovercrafts that you race in would always personally remind me of X-Wings. The future has and will probably always be a popular topic for all forms of media and Wipeout was the first game to try its hand at implementing a sci-fi future theme within the mechanics of a racing simulator. As well as an electronic musical score, the game featured songs from recognized acts such as The Chemical Brothers and Orbital. The music draws the player into the futuristic setting and makes the game a more enjoyable experience. This emphasis on music as a key component of a video game was something that would be included more and more in games as time went on, and I think Wipeout played a considerable part in establishing that. It could, and probably should, be argued that 3D Dot Game Heroes is one of the PlayStation 3’s most underappreciated titles. An interesting thing to say when you consider the fact that it’s a complete rip off, doesn’t do anything new and looks and plays like a Super Nintendo game farted into a 3D space against its will. With that said, this entirely derivative package somehow manages to create a cohesive whole that far outweighs the sum of its parts. 3D Dot Game Heroes is at its core a classic Super Nintendo adventure game, with so many nods to the Legend of Zelda: A Link to the Past that many might consider it a shameless rehash of this classic Nintendo title, however this would be selling the game far short of what it has to offer. Yes, the game is laid out very much like a Link to the Past clone and, yes, the core of the game is essentially the same, but its wrapped up in such a beautiful package that players are forced to sit up and take notice of this wonderful world. The first thing that will strike player is its sheer beauty, especially considering the game was released all the way back in 2009. The water effects are quite frankly astounding for a game of that age and the world is built out of tiny blocks and given a saturated tint to the point that everything looks like a sort of diorama that can be explored and broken apart. When players kill enemies, they are smashed into their tiny, blocky component parts and the weapon variety on offer is a great twist on this well-established genre. Each sword has a secondary attack that allows players to attack vast swathes of the land in front of them. It’s a fun and engaging way to interact with enemies and a welcome surprise in a game world that feels so comfortingly familiar. The formula of the Twisted Metal series was never an issue, but the age it was showing by the 4th entry was an easily definable problem in the vein of too much, too soon. The series had boasted 4 titles over the course of 5 years and had quickly begun to grow stale in its lack of innovation. Enter Twisted Metal Black. In a lot of ways Black just feels like the natural progression of the series but in a few other notable ways it comes across as more of an evolution. Take for instance the openness of the level design here, and how it allows for a more frenetic and dangerous feeling to the combat. 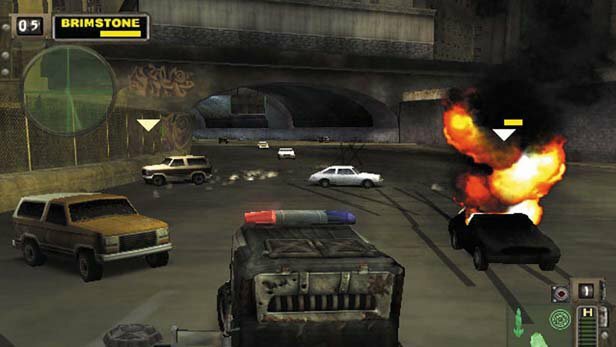 The main takeaway from playing Twisted Metal Black for the first time is how much more quickly you can find yourself going from the offensive on the defensive in a hurry, due to the increased balance of the gameplay structure. However, the biggest change that Black brought to the table was in the form of its narrative. Whereas previous Twisted Metals had showcased a structure more akin to fighting game campaigns, Black gave players a bit more to go on, fleshing out its characters and their goals more fluidly. Prior to the YouTube age, this was an important addition, as it gave players a reason to come back to the campaign again and again. A strong contender for “best game that nobody has played,” Vanillaware’s 2007 PlayStation 2 swan song, Odin Sphere, is one of the most unique games ever created. Combining typical Action RPG aspects with beat ’em up style gameplay, complex farming, cooking, alchemy systems, and a story that is nearly on the scale of A Song of Ice and Fire, Odin Sphere is a master class in every aspect of game design. To spectators and newcomers alike, the outrageously gorgeous visuals are initially the most recognizable aspect of the game. Prior to the company’s use of hand drawn graphics in games such as Muramasa: The Demon Blade and Dragon’s Crown, Vanillaware perfected their anime-inspired two-dimensional pixel design here, creating a unique aesthetic that easily rivaled any triple-A release of the time. However, this game is much more than just a pretty face, featuring gameplay that works in tandem with its story. The game is framed as five storybooks that are being read by a child in her attic, plus two extra books unlocked upon beating the correct levels in a certain order to see the “true” ending. Every book follows one of the five main characters, each with their own strengths and weaknesses, over the course of the various wars in the land of Erion. Gameplay is comprised of 2D beat ‘em up style action on continuous circular levels with multiple exits, offering various branching paths through levels that culminate in incredibly designed, screen encompassing bosses such as the Dragon Kin Wagner, and the titular Demon Lord Odin. Fallen enemies drop energy called “Phozons,” which acts as a form of experience points for one of the games two progression systems. These can be used to upgrade the characters’ main weapons, attacks, and spells, while food is used as “HP experience”, boosting characters’ maximum health. As a direct follow-up to its processor, Suikoden III did a fine job of shifting the series from its 2D roots into the 3D world. While the game did little in terms revolutionizing the genre, it’s solid all around, feeling and acting like many JRPGs of the era, which certainly isn’t a bad thing. After getting over the initial hump presented by the new graphical style, series veterans should feel right at home, as the Rune system and the 108 Stars of Destiny make their successful returns. 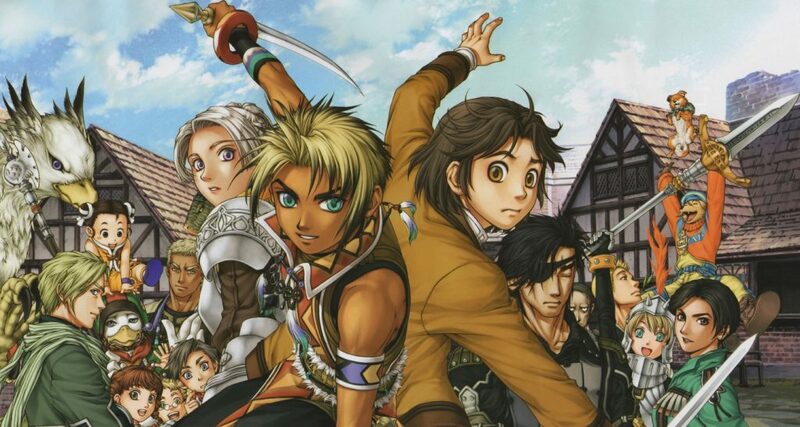 Both PS1 era Suikoden games were praised for their originality when it came to how they presented their narrative, and the series’ first venture on the PS2 was again successful in mesmerizing its audience via its storytelling. Rather than focusing on the story of a singular individual, with Suikoden III Konami crafted what they called a “Trinity Sight System”, which has the player following three different viewpoints from three very different individuals. Instead of having a silent protagonist like its predecessors, Suikoden III’s main characters each have a voice and distinct personality all their own. Each of the game’s protagonists hail from different factions with differing ideals and issues; the game avoids the traditional set up of having a clear cut antagonist, instead, leaving much up to the player’s own personal interpretation of “good” and “evil”. The idea behind Twisted Metal was always a stroke of genius: take the happy go lucky car combat of Super Mario Kart and amp it up for the edgier PSX. 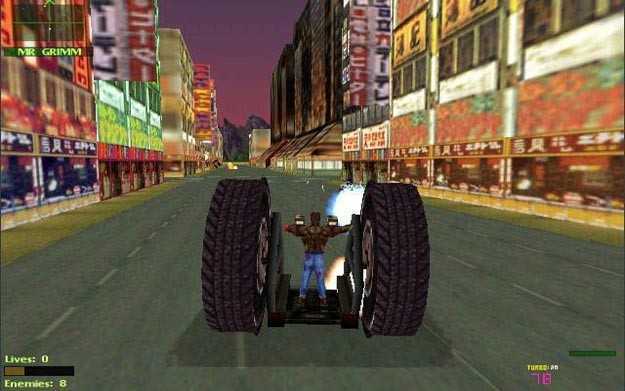 Despite the cleverness of the premise, though, the first game was a little wonky in its design, and it wasn’t until the sequel arrived that Twisted Metal really hit its stride. Introducing new characters, more diverse levels, and ton of new ways to leave each other in a pile of steaming, smoking wreckage, Twisted Metal II: World Tour was an endlessly replayable romp that urged you to come back, again and again, to see how Calypso would screw over the next set of contestants with his Wishmaster-esque hijinks. With an increased focus on story, one that would come to define Naughty Dog with its Uncharted series, later on, Jak II manages to keep its adventure-platforming spirit while at the same time pivoting away from the collect-a-thons that had defined the PlayStation and Nintendo 64 era. Despite the smaller number of collectibles and the addition of a gun, the actual mechanics aren’t as far from Jak and Daxter as you might be led to believe. Even with new mini-games and tougher bosses, there’s still plenty of hopping around, swinging on monkey bars and dodging spinning things – it just takes place in a city rather than the original’s Banjo-Kazooie-inspired playgrounds. One controversial part of Jak II is its notorious difficulty – coming in-between the invention of the auto-save and the more forgiving checkpoints of more modern games. The actual platforming is still fun as a test of dexterity, but since one wrong move sends the player all the way back to the start of the level, it’s clear that Naughty Dog were still several games away from mainstream success. The other controversial aspect of Jak II is the change in direction of its story. Immediately more serious, including a scarier cadre of villains and a more complex plot, Jak II has drawn flak as an example of the grimdark aesthetic that dominated the late nineties and early noughties. However, anyone who plays the game will discover this reputation is greatly exaggerated. 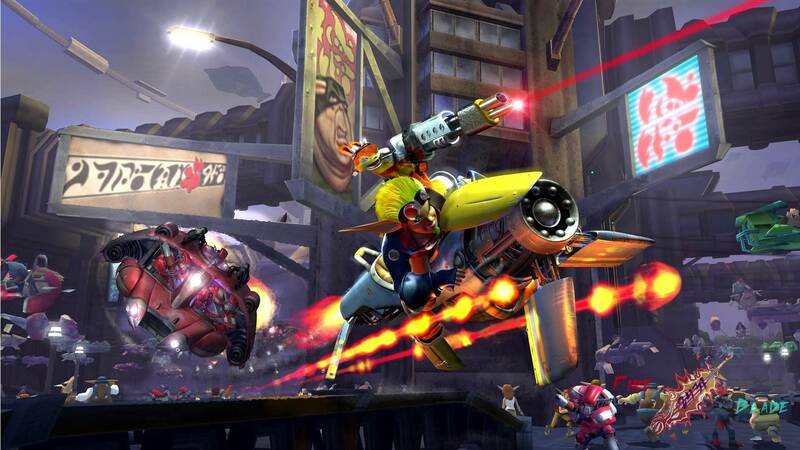 The game is actually just as creative and funny – if not more so – than the first Jak and Daxter. Moving away from the straight-up cartoon silliness of the first, Jak II takes a more Star Wars or Blade Runner approach: with colorful neon streets, a population oppressed by Stormtroopers (I’m sorry, Krimzon Guard), and far-flung, exotic locations. Yes, the game is thematically darker – it does begin with the happy-go-lucky hero of the first game being tortured by Baron Praxis – but it is no more unsuitable for kids than the Sonic Saturday morning cartoon, or even Star Wars itself. The Danganronpa games are awash with despair. Each and every facet oozes despair. The antagonist’s goal is to inflict despair. Upon booting up any Danganronpa title, you’ll experience despair too. Fortunately, though, it’s a morbidly pleasant despair, like being informed your limbs have rotted away, but on the bright side, you’re now eligible for the ‘replacing your rancid limbs with tentacles’ body augmentation experiment you’ve always wanted. 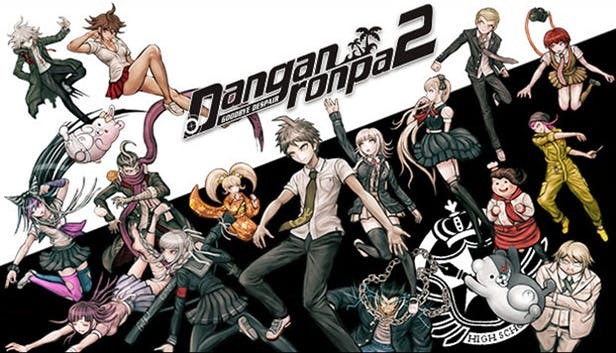 Danganronpa 2: Goodbye Despair, like its predecessor and sequel, features a misfit cast that’s trapped in antagonist Monokuma’s death game. Slowly but surely, murderous intent seeps into the minds of Danganronpa 2: Goodbye Despair’s characters, and corpses start appearing. An investigation and class trial follows each killing, where the culprit is flushed out via a handful of mini-games. The gaming scene of today is virtually overflowing with games that rely on complex and intricate mechanisms in order to make themselves stand out from the competition. New improvements to the engines of games are always being made, and we’re all stoked to see what brand new innovations will grace the games of the future. However, sometimes you get a little tired of all the cutting edge graphics, the intricate storytelling that relies on an abundance of plot twists and deceit, and the perplexing gameplay itself. Sometimes simplicity can be more than enough to make a game worth playing, as proven through the release of Crash Bandicoot. Crash Bandicoot is delicately charming when it comes to pretty much every aspect of the game. It’s based on simplicity in its purest form – all you need to know is that you use the D-pad to move around, the X button makes you jump, and finally, the circle button makes you attack. That is all the controls in the game whatsoever. The only objective of the game is to move from the start of the level to the end of the level, abolishing enemies and wreaking havoc as you make your way across the delightfully exotic worlds, animated in the finest quality the original PlayStation had to offer. As you move through the levels, you break boxes, kill turtles and other colorful animals who mean you harm, and collect apples as a system of points. I can’t recall which title I played first: the original Crash Bandicoot or Crash Team Racing, as I had an enormous stack of demo discs from the original PlayStation magazine, and I frequently cycled through them to find the best games. The disc with Crash Team Racing wore out. Go-kart racing is one of the most unexpected genres to emerge from the days of the Super Nintendo, and it’s one that fizzled relatively quickly (except for Mario Kart, obv.) 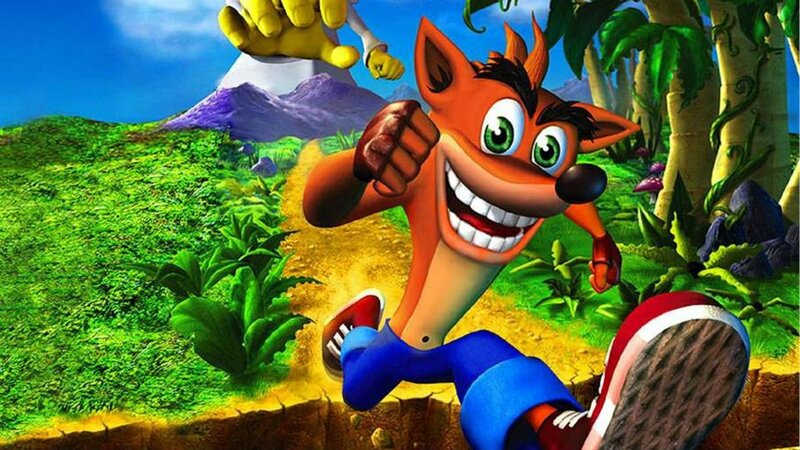 Bringing that delicious go-kart love to the PlayStation console in late 1999 was the beloved Crash Bandicoot, after three enormously successful platformers. 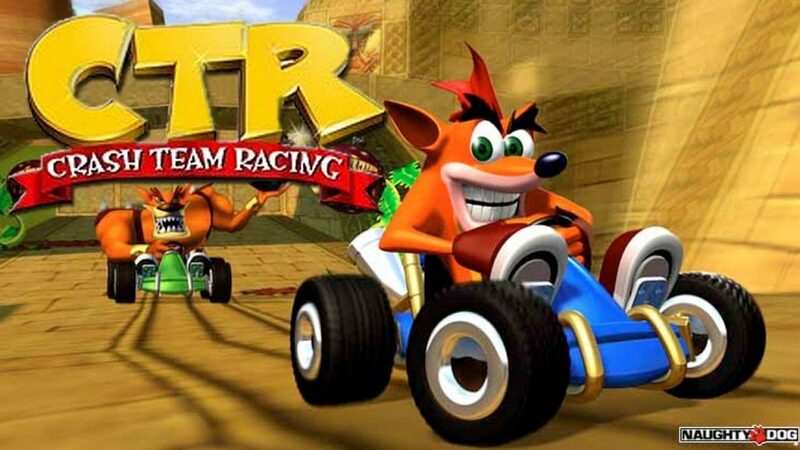 Being the final Crash Bandicoot developed by Naughty Dog, Crash Team Racing was the perfect end to their Crash development – the title made for some chaotic fun and featured intense multiplayer. Spending an afternoon cussing at my cousin on any of the variety of courses was a time well-remembered. Bonding, even. Crash Team Racing drives dangerously close to mimicking kart racers that came before – Mario Kart or Diddy Kong Racing – though it differs in one area that, unsurprisingly, really matters: Crash Team Racing felt faster than the aforementioned racers. Speeding through the giant tunnels of the sewer level was both gross and exhilarating and would test your twitch response time. Play. Create. Share. The mantra behind Media Molecule’s inaugural PlayStation 3 exclusive, LittleBigPlanet, remains representative of one of the most innovative and endearing experiences of the past console generation. Released early in the system’s life cycle, this unique platformer with an emphasis on user-generated-content paved the way for games such as Super Mario Maker and ModNation Racers. Gameplay is kept simple and intuitive, featuring typical platforming mechanics with the addition of the ability to grab certain materials with the R1 button and switch between three planes of depth by pressing up or down on the joystick. The campaign, entirely comprised of levels made within the game’s “Create” mode, takes up to four players around the world on an exciting adventure to retrieve the stolen creations of the world’s “Curators” from an evil Curator called “the Collector.” Along the way, players will solve puzzles, fight bosses, and most importantly, unlock materials to use in the game’s extensive level editor. 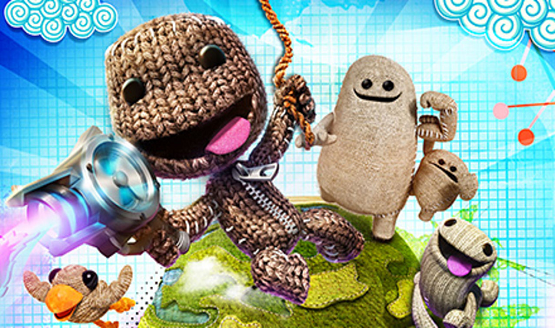 Tutorials narrated by the legendary Stephen Fry guide newcomers through the basics of customization and, while LittleBigPlanet boasts some of the most complex editing tools in gaming, it is very accessible. Upon completion, players can upload their creations to the internet to be played and rated by the world. Team Ico’s PlayStation exclusive trilogy, will go down in history as some of the greatest works of art Japan has provided this industry. The often forgotten cult classic Ico, the groundbreaking PlayStation 2 masterpiece Shadow of the Colossus, and the long in development final chapter, The Last Guardian. 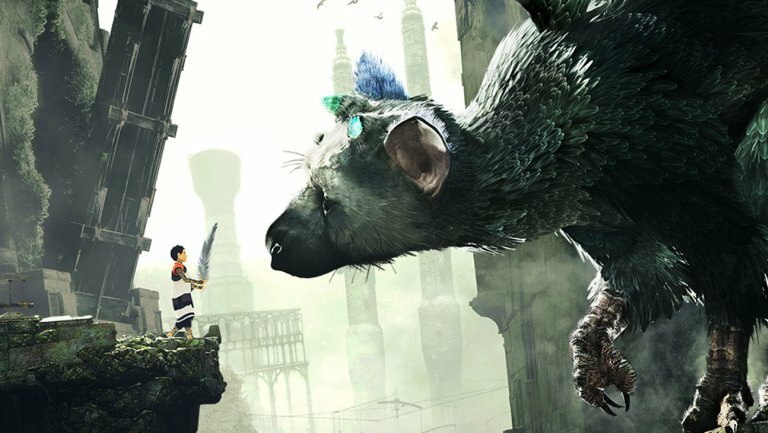 The Last Guardian is perhaps the most curious of the three. Originally slated to be a PlayStation 3 exclusive, it instead endured over 10 years of development hell before finally, and quietly, releasing onto the PlayStation 4. It didn’t make as great a thud among the masses, as Shadow of the Colossus once did, but for those who played it, it was just as magical. There is a certain charm and whimsy which so few developers seem able to craft. Like a Studio Ghibli film, there is a wholesomeness to The Last Guardian. A mysterious boy and a mysterious creature. They are intertwined by fate, relying on each other to escape the cavernous depths they’ve both become lost in. You play as the young boy, unable to fight or traverse many of the obstacles ahead. It is only by forming a bond with the creature dubbed Trico, that you can solve the world’s many puzzles. That is The Last Guardian at its core, a puzzle game. However, it is a puzzle game with so much grandeur, so much love, and so much meaning. Some found Trico and his at times erratic behavior cumbersome and annoying, I found the realism of trying to work with a wild animal, simply magical. PaRappa is a paper thin cartoon dog living in a three-dimensional world and he’s in love with a sunflower named Sunny Funny. Also vying for the affections of Ms. Funny is Joe Chin: an obnoxious, charismatic, and egotistical dog with a massive chin. 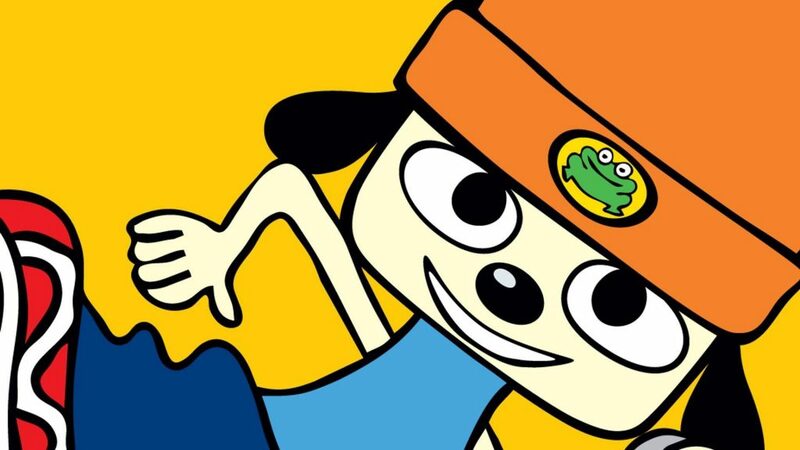 How can PaRappa show Sunny that he’s the right dog for her? Spoilers: it involves a rap battle with moose driving instructor and a kung fu master with an onion for a head. 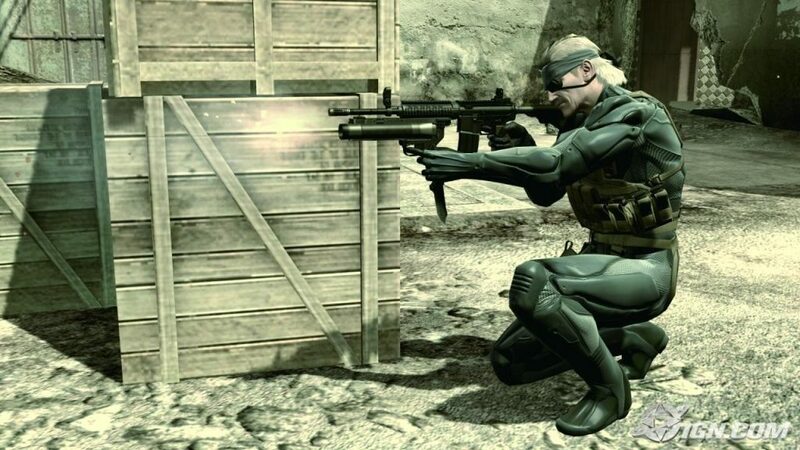 After the utterly bonkers final third of Metal Gear Solid 2, and Metal Gear Solid 3 providing no answers for the questions left posed at the end of that game, fans had waited a long time for closure on the mysteries of the Metal Gear Solid series. Hideo Kojima went out of his way to try and please them, packing Guns of the Patriots with solutions to practically every unanswered question left hanging in the Metal Gear series, even the ones we didn’t know had been asked. This was a double-edged sword; while the game was a love letter to long-standing fans of the series, it made the game absolutely incomprehensible to people giving the franchise a go for the first time.